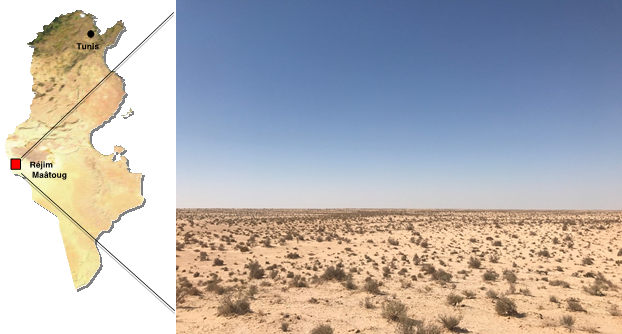 TuNur solar project in Tunisia is a joint venture between Nur Energy a solar plant developer based in the UK and a group of Maltese and Tunisian investors in the oil and gas sector. In July 2017, a request for authorization was filed to the Tunisian Ministry of Energy, Mines and Renewable Energy for an export-oriented solar project with a capacity of around 4.5 GW. Activists have branded this project as another renewable energy grab or what has been termed ‘Green Grabbing’: the appropriation of land and resources for purportedly environmental ends. This project in particular involves massive land grabs (10,000 hectares) as well as extensive water usage to clean and cool the panels in arid and semi-arid regions to export energy to the UK and Europe. Given that Tunisia depends on its neighbor Algeria for its energy needs and faces increasingly frequent power cuts, activists claim that it would be outrageous and unjust to prioritize exports over the urgent needs of local people. According to Med Dhia Hammami, a Tunisian investigative journalist working in the energy sector, the project seeks to take advantage of new Tunisian legislation allowing the liberalization of green energy production and distribution and opening the way to the direct export of electricity by private companies. The EU is already considering awarding priority status to an underwater cable linking Tunisia with Italy, and TuNur expects construction work on a €5bn plant to begin by 2019 in southwest Tunisia. The resulting solar complex would sprawl over an area three times the size of Manhattan, harnessing the power of the Saharan sun with several towers up to 200m tall. Project Details As a first stage, the project consists of a modular 250MW CSP Tower plant with molten salt storage in Rjim Maatoug, Southern Tunisia, with a dedicated 250MW HVDC transmission line from the site in Tunisia, across Tunisia, through the Mediterranean Sea, landing in Malta. 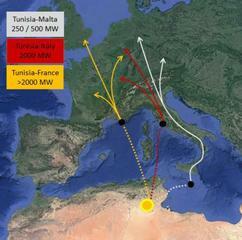 Once landed in Malta the power will be transported to offtakers in mainland Europe through the existing Malta-Sicily interconnector. Development of Alternatives Specific alternatives are not proposed other than some of the energy produced be used for local demand. The staunch opponents of this project completely reject it considering that such initiatives deny local people control and access to their land, rob them of resources and concentrate the value created in the hands of domestic and foreign predatory elites and private companies. Why? Explain briefly. The project is under negotiation between Nur Energy and the Tunisian government and will likely be accepted bar any unforeseen issues.